Our product range includes a wide range of emergency relief valve, air vent valves and pressure relief valve. 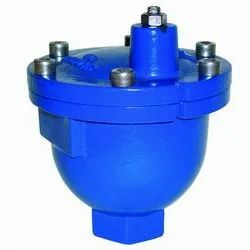 Valve Size 4" TO 20"
SRI VENKAT ENGINEERS Emergency Relief Valves are designed to provide emergency relief capacity over and above that provided by the normal operating pressure relief valve on the tank. The ERV protects the tank against rupture or explosion which can result from excessive internal pressures caused by an external fire. SRI VENKAT ENGINEERS offer vertical lift (blow off) type ERVs, as well as hinged version which reseats itself and a spring loaded version which can be offered for high set pressures. With the help of well trained and experienced professionals, we are able to provide Air Release Valves for Gas Industries to the esteemed clients. Air Release Valves can open against internal pressure because the internal lever mechanism multiplies the float force to be greater than the internal pressure. 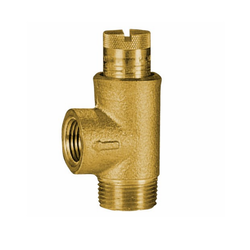 The offered valves are being fabricated by making use of the premium quality raw material. Looking for Air Vent Valves ?